Researchers often have similar questions when it comes to planning a patient registry. We’ve compiled some FAQs to make it easier for researchers to decide whether a registry may be a good option for their study. Is a registry a good option if my interest is in assessing outcomes and quality improvement? Yes, if you are interested in evaluating patient outcomes and quality improvement, then a patient registry may be a good option. There are several issues that should be considered before deciding to develop a registry. For instance, is the data that I need already being collected and if so, will I have access? According to the Agency for Healthcare Research and Quality (AHRQ)’s handbook “Registries for Evaluating patient Outcomes” (2nd edition), a patient registry is an organized system that uses observational study methods to collect uniform data (clinical and other) to evaluate specified outcomes for a population defined by a particular disease, condition, or exposure, and that serves one or more predetermined scientific, clinical, or policy purposes. What is the difference between a registry and a regular database for an observational study? Registries tend to be more general in scope and focus and tend to adapt over time to allow for new therapies, changes in clinical management, etc. Traditional cohort studies tend to collect the same information during the defined study period. If there are national registries in other countries, for instance in Finland, why would I build a Canadian registry? That really depends on your question. Do you need data from the Canadian population for submission to Health Canada and Canadian authorities for which the Canadian context is relevant? In those situations, Canadian-based registry is usually warranted. Can I access REDCap using my home wireless non-password protected account? Yes, you can access REDCap from your home wireless network. REDCap stands for Research Electronic Data Capture, and it is an open source web-based application developed by Vanderbilt University. With the case of REDCap, the connection will be secure because of the use of the secure socket layer certificates (SSL) where the communication channel between the client and the website is encrypted. Anyone monitoring the traffic will only see encrypted text flowing from/to the client and web site. One way to ensure that you are using a secure communication channel is that the web site address begins with https://…., and with some internet browsers you will notice a lock icon and a green status bar to visually confirm the secure connection. Can data from clinical management systems at the AHRC be linked to Medidata RAVE®? Yes, data from different external systems can be uploaded into Medidata RAVE®. RAVE® is a sophisticated web-based data management system designed specifically for randomized trials. It is one of the few data management system accepted by the Federal Drug Administration for submission of data to FDA. There are two technologies that can enable the copy of data into RAVE®. The first is batch uploading; this is a RAVE® module that uses a file specification that maps the incoming data fields to the data points within the RAVE® eCRF (electronic Case Report Form). This is used for uploading data that has been extracted from the external system into a text delimited file. The second technology is the use of RAVE® Web services that can, in real time (if required), copy data from the external system directly into RAVE®. The technical challenge is to ensure that someone on your IT team can work with the AHRC technical team to extract the data required into the required format. This can work well if the RAVE® study is a single site study and SMH is the single site. 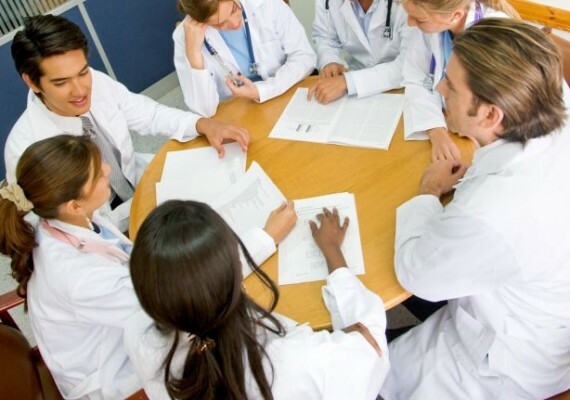 It becomes more challenging if the study is a multi-site study where specifications and customized interfaces will be required to be built for each site; each site will have unique clinical management systems and therefore will require a close collaboration with that site’s IT department. Where can I look for possible existing sources of data that might be of interest to me when assessing whether I need to build a registry from scratch or use existing data? A recently launched tool to search for existing registries is the Registry of Patient Registries (RoPR) sponsored by the Agency for Healthcare Research and Quality. You can also search the literature (e.g. PubMed) to see if you find any articles that mention registries or other longitudinal studies that may collect some of the data you are interested in. The International Journal of Epidemiology is a bi-monthly peer-reviewed journal covering epidemiological research. Many patient registries have been highlighted in this publication often under the section titled “Cohort profile” (http://ije.oxfordjournals.org/). “A registry needs to have at least 1 active data element…” what’s an active data element? This means that at least one data element is being collected specifically for the purpose of the registry rather than inferred from other sources. What’s the difference between a registry and a clinical trials database? A registry database is just a file from a registry. Similarly, a clinical trials database is just a file from a clinical trials study. Often we use the term “clinical trials” to refer to “randomized clinical trials”. The main difference between a registry and a randomized clinical trial is that the registry uses observational study methods to collect data in a standard way over time; while a randomized trial is an experimental study where the experiment is allocated according to a random schema between the groups of patients. Can I link my registry data to administrative databases? Usually, if your research project requires data linkage with other databases (administrative or other) and you are collecting patient identifiers as part of your registry with consent from the patients for data linkage, then it should not be a problem. To be safe, always consult with your Research Ethics Board team for input before you start data collection. For questions about registries, contact Magda Melo at melom@smh.ca or 416-864-6060 ext 3933. MAGDA MELO is the manager of the Observational Epidemiology and Qualitative Research Unit. ELIZABETH TORRES is a clinical research specialist with the HUB.